Anthony Liu was found dead by the Georges River in Sydney, Australia in 2008 by two kids on a canoeing trip. 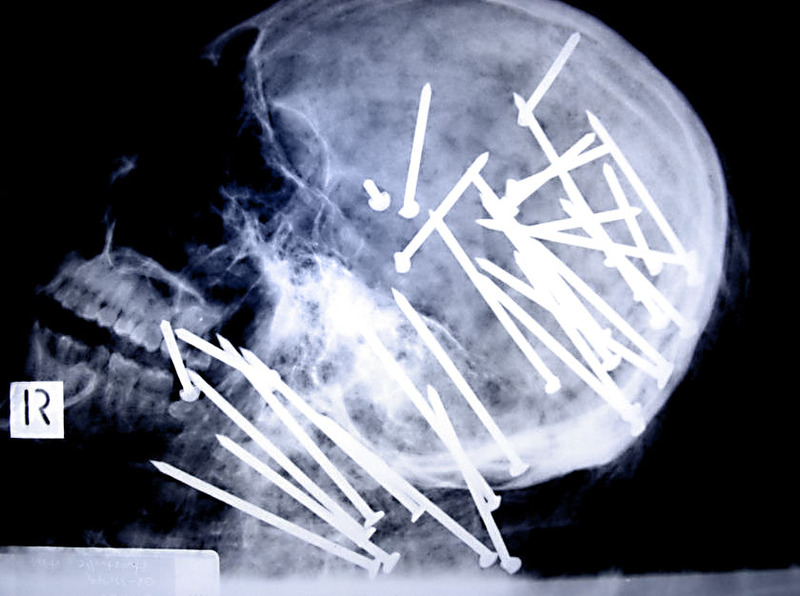 It doesn’t take a coroner to see that he was killed by being shot in the head repeatedly with a high-powered nail gun. Thirty-four times. Authorities released this X-ray and asked the public for information about missing or stolen nail guns.